What a fantastic movie and it is finally out on video (in case you missed it in the theater)! And you can win your own copy right here on MamaBreak! 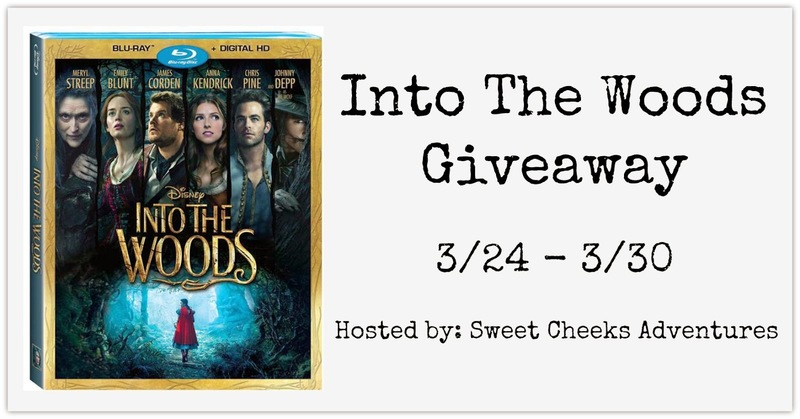 Be sure to check out Sweet Cheeks Adventures' Review and find out why you need to enter this giveaway! Good Luck! My favorite movie is Titanic because I love to read and what things Titanic related. Mama Mia....own it and watch it at least 2 times a year..
Love Field of Dream because he kept with his dream against all odds. You ask a difficult question...I have many favorites. My favorite vintage movie is The Bishop's Wife with Cary Grant. :-) Thank you. Casablanca. I could watch it again and again. A work of art. I love the movie Ghost. Loved the promise of forever love. star wars, i love the jedi's! My favorite movie depends on my mood. Right now it would be The Breakfast Club. It is funny and classic nostalgia. Twister is one of my favorites - keeps you on the edge of your seat with some funny parts too. I love the movie 7 Brides for 7 Brothers. I love the music! My favorite movie has been Gone with the Wind because of the history and strength of will of the people involved. My favorite is Terminator because I really like the story line. My favorite movie is Three Colors: Red because I fell in love with Irene Jacob. St. Elmo's Fire. Large cast, great setting, Fast talking. I like Anchors Aweigh because I love the songs and dances in it.